The famous singer Marvin Gaye once said, "If you cannot find peace within yourself, you'll never find it anywhere else." How true this is! Unfortunately, sometimes it seems as if life gets in the way, and achieving tranquility is harder than it should be. 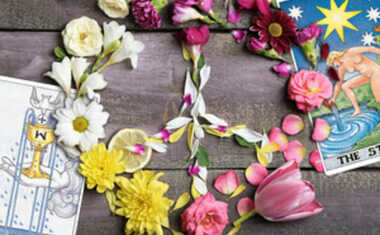 The famous singer Marvin Gaye once said, "If you cannot find peace within yourself, you’ll never find it anywhere else." How true this is! Unfortunately, sometimes it seems as if life gets in the way, and achieving tranquility is harder than it should be. Are you struggling with overcoming grief, feeling bombarded by the negativity in the news, or managing some kind of internal conflict? 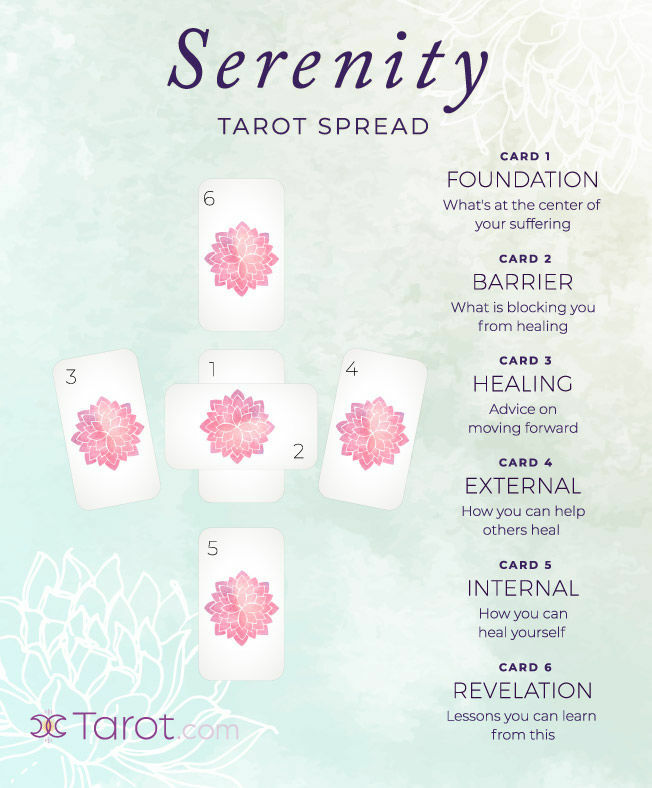 This 6-card do-it-yourself Serenity Tarot spread shows you exactly what you need to do to clear out the emotional clutter, and put yourself back onto a more positive path. Keep reading to see how YOU can use this spread to heal. The path to healing is not a straight line. 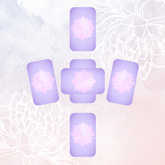 The Barrier Card will help you see what it is that has been preventing you from finding the inner peace you need. Sometimes these stumbling blocks come from outside influences, and sometimes the struggle is coming from within. The message you receive from this card will allow you to confront -- and deal with -- what has been stopping you from finding inner peace. In dark times it is not only we who are hurting -- others around us may be as well. We all have an internal light that acts as a beacon of hope no matter how dark these times may seem, and your External Card helps you see what this special gift is. Is your higher power that you act as a pillar of strength? Or, is it your unwavering compassion for those suffering around you? The Tarot is known for its ability to empower us, and there is nothing more empowering than learning that everything you need to be happy is already inside of you. Think of your fifth card as your "self" card, one that shines a spotlight on your greatest source of inner strength. The insight revealed in this position will show you that not only is healing is possible, but that you already have what it takes to get there. While it may not seem like it at the time, there is always a silver lining in times of adversity. Not only can our suffering teach us important lessons about life, but it can also teach us important lessons about ourselves. Think of your Revelation Card as a glimpse into your future -- a future where you’re stronger and wiser for having gone through this situation.